Thank you for visiting On the Cutting Floor today. 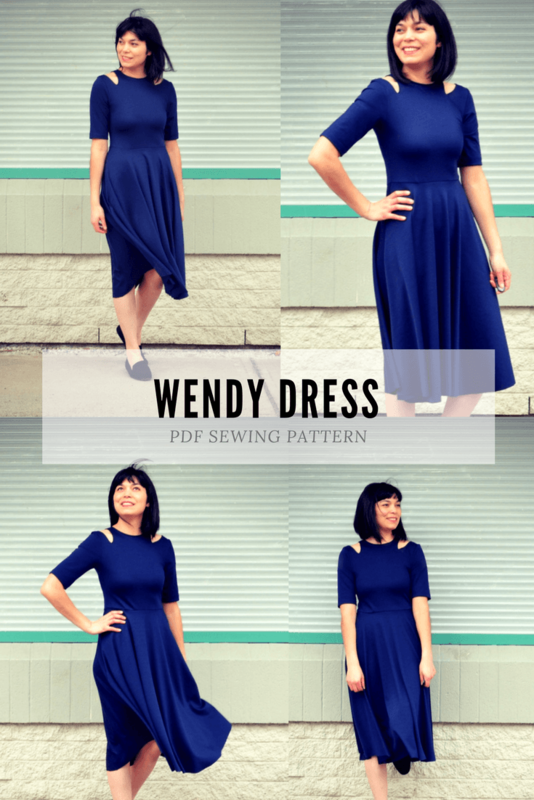 This is our newest PDF sewing pattern and Video Tutorial: The Wendy Dress. 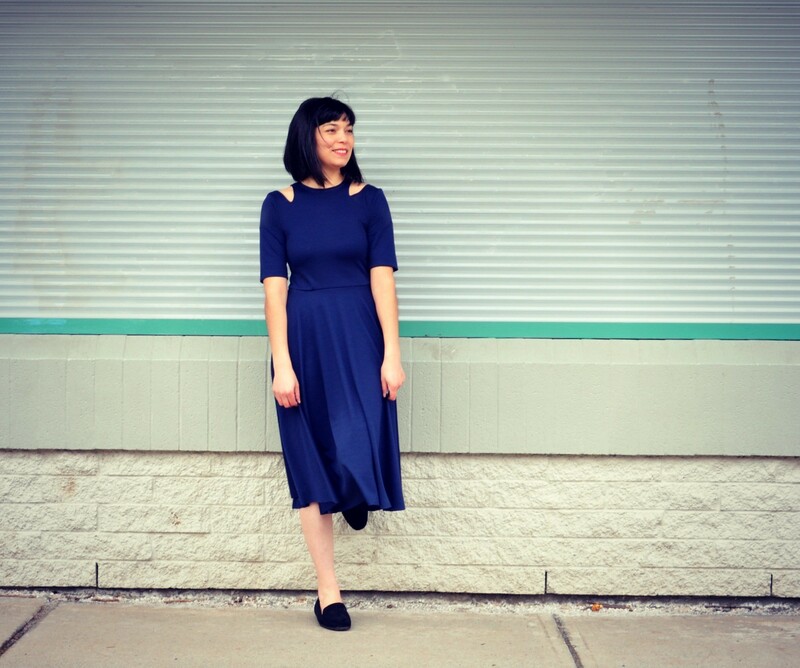 This is an easy and classic knit dress pattern with some unique cutouts on the shoulder area to make a fantastic style dress for the Spring-summer season! NOW INTRODUCING OUR PATTERNS WITH VIDEO TUTORIALS INCLUDED! A fitted knit dress bodice with a fun cutout shoulder detail. 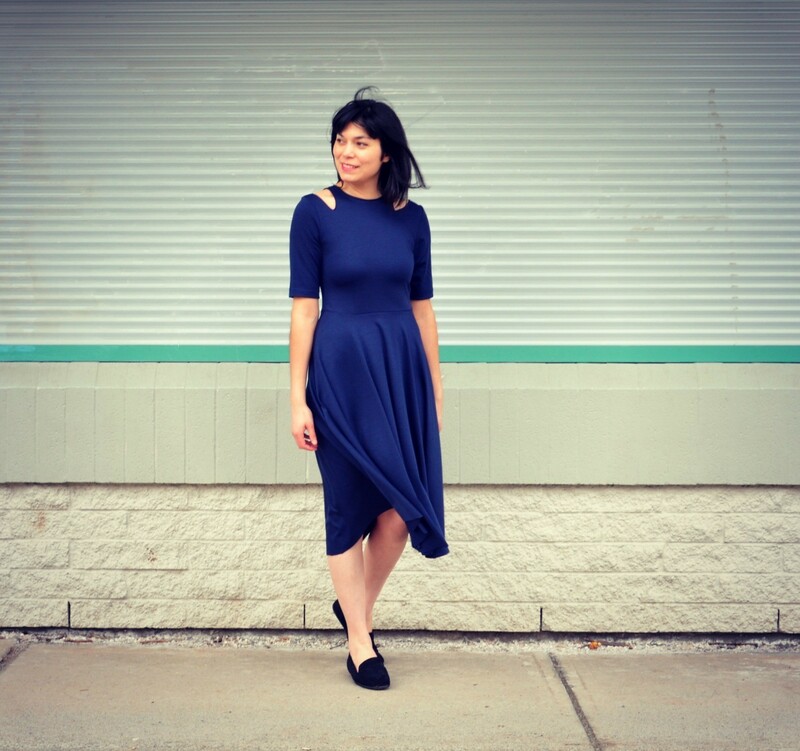 The bodice has a racerback neckline with two sleeve lengths. 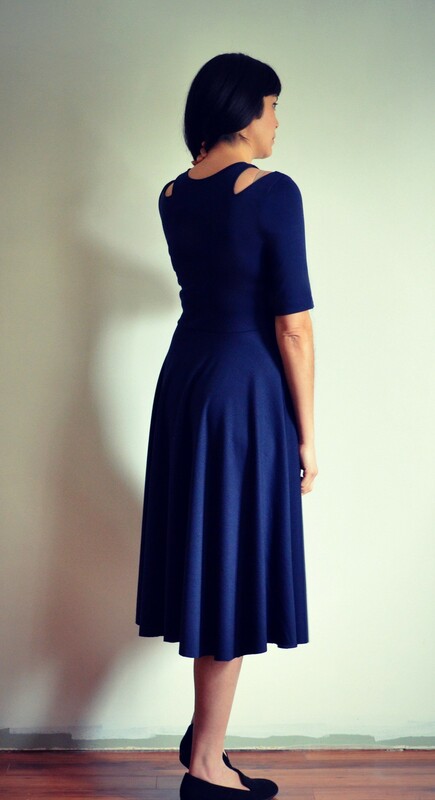 The dress also features a semi circle midi length skirt to offer a sleek dress design. 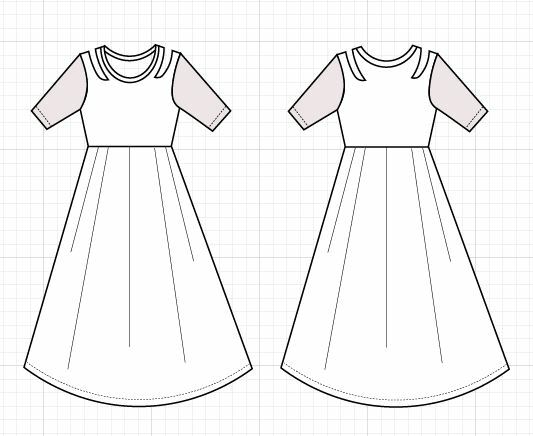 The pattern has 0’’ ease at bust point for the dress. 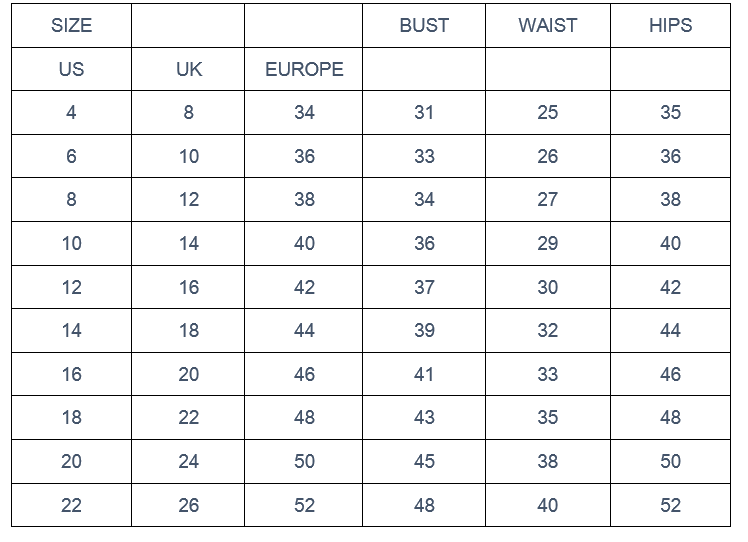 Medium weight knit fabric such as double knit, jersey, ponte roma and blends. 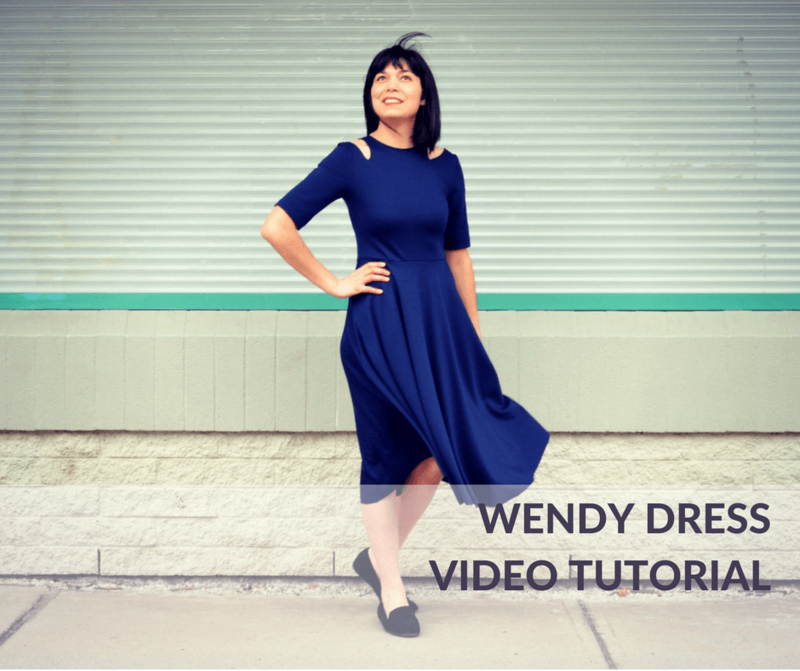 Three downloadable videos with the step by step sewing tutorial plus great tips to make a beautiful dress.